MassDOT reports that a $10 weekend fare good for unlimited rides on commuter rail resumes this Saturday. Read more. 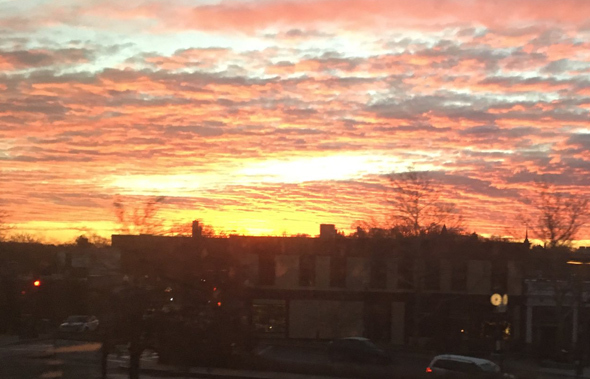 Way back in November, Mike Schreck wondered why one particular evening train on the Needham Line left Back Bay at 6:01 p.m. rather than the scheduled 6:03 p.m., which meant he missed the train home. Last week, he finally got an answer from Keolis: Read more. If we had a dime for every T delay, we'd be rich. Here are the ones we rhymed in 2018. It's far from a complete list of delays - we missed a few and didn't do rhymes for delays caused by deaths or that involved people being forced to walk through tunnels to escape from dead trains. Read more. 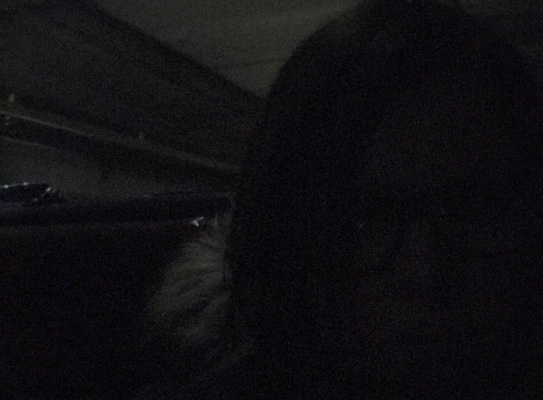 A Dig reporter has to get up pretty early in the morning to catch the one train a day that leaves Plimptonville for Boston - it departs at 6:58 a.m. I drove to Plimptonville one morning this fall, I think to find its reason for existing. Assuming there is one. 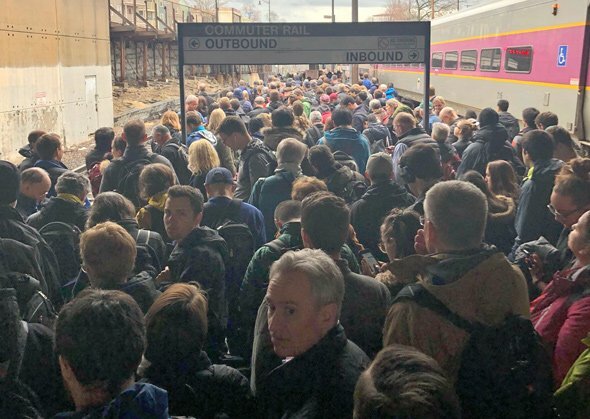 The MBTA is reporting all sorts of issues and schedule changes on the Worcester Line due to a train that thought it could, but it couldn't, so it just stopped moving altogether just barely out of Worcester. Ice in the brake lines and engineer flying blind. The train after that wasn't much better: Read more. Keolis crews have been going down the Needham Line in recent days chopping down trees and limbs along the track that "are dead or could fall in storm and stop service," a MassDot spokesperson says. Rick Macomber, meanwhile, was on the Zakim: Read more. You could go loco (within limits) on this diesel. 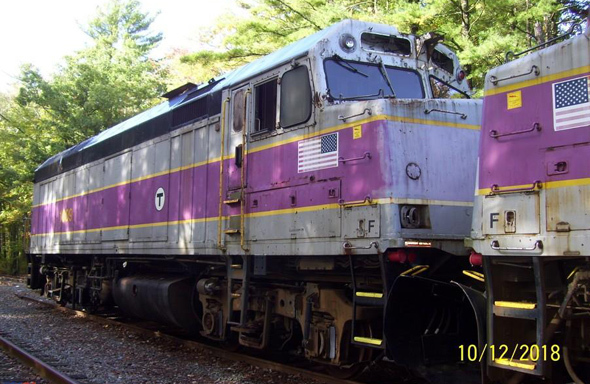 The T is auctioning off two old locomotives for demolition. And with a current minimum bid of just $26, it's even pretty affordable - especially since the T's already drained all the diesel fuel and other messy fluids. At 130,000 pounds each, that's a lot of sledgehammering opportunities. Of course, there are a few catches: Read more. Transit Police report arresting a man on a commuter-rail train bound for last night's festivities in Salem after, they say, he escalated from threatening other riders to fist fights to pulling out a knife when one rider asked him to knock it off. "So much for getting home early for Halloween," T.J. Winnick sighed upon seeing the line just to get into North Station, never mind to his train - a line that stretched down Causeway past the Tip O'Neill building. About 15 minutes earlier, the line only reached back to almost Portland Street: Read more. Transit Police report arresting a man who objected to a Transit officer interjecting in an argument he was having in South Station by pushing the officer to the ground - where he maintained consciousness despite hitting his head on the ground and was able to radio for help. Read more.